Was this a wise move? Well, although I'm a fan of the brand, if I had to go for a 'Yes' or a 'No', I'd be inclined to opt for the latter, albeit with a few important qualifications. Chief amongst these is the fact that nearly all the new compositions are more interesting and unusual than the majority of the stuff pumped out week after week by the mainstream. This is partly because perfumers Simon and Mark Constantine insist on working with materials which are, at the very least, half-decent, and also partly because they remain determined to explore uncharted olfactory waters. Take Lord Of Goathorn, for instance. Okay, its opening was enough to induce the gag reflex in me and in two of my nieces, but at least it dares to be downright weird. When it gets past its bizarre opening - an unsettling combo of the medicinal bitterness of tarragon and the metallic sheen of sea weed absolute - its fishy-leather conclusion is nothing if not original. It's also worth saluting the range's lack of pretentiousness. Indeed, the presentation of all the perfumes seems to want to underplay their significance, as though they're little more than cheapo smellies you might stumble across at a flea market. Sadly, in some cases, the illustrations go one step too far and echo the artwork featured on the 'legal highs' which have recently attracted media attention, but I hasten to assert that I'm sure this effect was not intended by the Constantines. Putting aside the weak conceptual link between the scents, my main problem with them is that they feel unfinished. This would seem to tie in with why there are so many of them: perhaps the perfumers made a conscious decision to favour quantity over quality. For example, Flower's Barrow is filled to the brim with floral, herbal naturalness, but whilst wearing it, you never quite shake off the sensation that you've doused yourself with a single essential oil - in this case, geranium - rather than a rounded, thought-out, carefully considered olfactory creation. Most critics have hailed The Voice Of Reason as the star of the collection, and I'm happy to go along with that. It's basically an amber oriental - the spirit of Shalimar comes through loud and clear - but it also presents a dirty cigarette facet - echoes of Habanita, possibly - as well as a brown, oily thickness, a la Youth Dew. The Constantines' aim was for it to evoke the atmosphere of rooms inhabited by young intellectuals locked in heated discussions, and I'd say they've achieved it. There's a naive, inward-looking quality to its intensity, as though it isn't quite ready to expose its idealism to the bruising effects of the outside world. And why should it? Youthful exuberance ought to be protected, so that the memory of its power can linger in the mind, like the comforting, crowded-ashtray notes of this perfume's drydown. I just bought Voice of Reason on a complete whim yesterday. I loved the smokiness of Exhale but, just never got around to buying it. 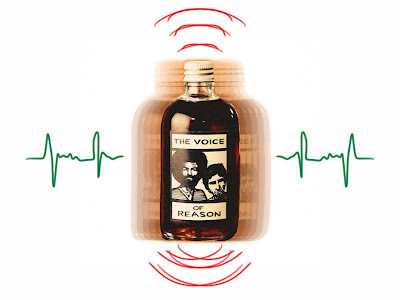 Voice of Reason is all the smokiness of Exhale plus more! I think I get some coconut in the dry down???? Some in this new line are not up my alley but, I do love that they have pushed the boundaries of regular boring commercial scents and the price is right too! I must say that I prefer the old black packaging as well. Yes, the people at Gorilla certainly don't mind being different, and that's to be applauded. Great review! 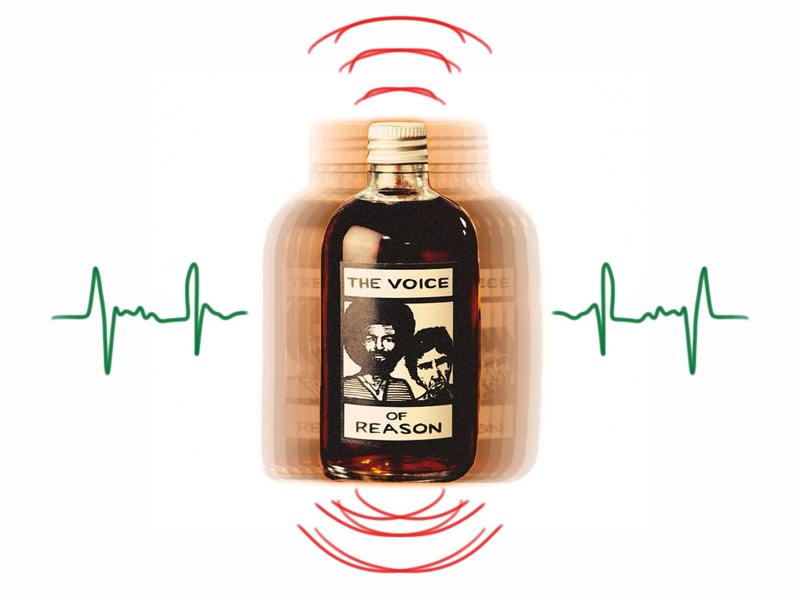 I love my bottle of The Voice of Reason, though on me it smells very much like really smoky whisky rather than cigarette smoke! Oh, ok, that's interesting. Perhaps we're both reading the woody edge in different ways. I'd agree very much with your comments. I was so eager to try the new range from Gorilla that I drove down to Cardiff to see the bus when they launched the range. I similarly got the impression that from the packaging to the design, these were fragrances aimed at the young adult/student market. I came away with a bottle of Devil's Nightcap, but I wear it as a base on which to apply something else. It feels unfinished. Birdie, yes, I wonder what direction they're trying to take everything in. At the moment, there's a pop-up shop in East London which contains nothing but Gorilla Perfumes. Maybe that's what they want to do: have scent-only stores, a la the defunct BNTBTBB...? Fishy leather? Good god, that sounds worse than Secretions Magnifique. I always enjoy sniffing the Gorilla range, although I tend to have to leave the store to do the actual sniffing. Happily the Lush staff seem used to this. Even so, I have gone home more than once thinking I had bought a scent smelling of one thing (say incense), only to wear it the next day and experience something else altogether! There is certainly something unfinished about the fragrances - one can almost imagine a couple of perfume whiz kids in a studio, mixing up potions and trying them out, "whaddaya think of this - cool or what?" "...or what, dude. Or what." Axum, I think leaving a shop to smell a perfume is a very sensible idea. I know what you mean about the whiz kids. In the past, that's been one of Gorilla's most endearing features, but perhaps this time they let their enthusiasm go too far. So glad you are reviewing these, as many of the review sites haven't caught up with these releases yet. I find the lack of a spray annoying and the packaging sure doesn't fit the price bracket (ie bottles are cheapo and price is not). However, the range is different to the mainstream which is always to be applauded - I do agree though about the unfinished feel. Like Birdie above I picked up Devil's Nightcap - I wear it on those rare days when I don't want to be distracted by perfume. It sits perfectly in the background, always there and pleasing, but not demanding I pay it any kind of attention! Gimmegreen, maybe other reviewers have been put off by the sheer number of scents in this collection. I totally agree that their eccentricity is worthy of praise... but yes, the Constantines could've gone a few steps further with this lot. Lord of Goathorn is lovely, in an offbeat sort of way. I don't get the seaweedy/low tide, fishy note that others seem to find with this .. All I can smell is yummy black licorice, and maybe something else I can't identify.. But this is my favorite perfume out of the Gorilla lot..Secondary favorites are Hellstone, Devils Nightcap, The Bug, and Dear John. Pretty much in that order. After that, I don't really care for any of the other Lush perfumes. They're not "earthy" enough for me, the way my favorites are..